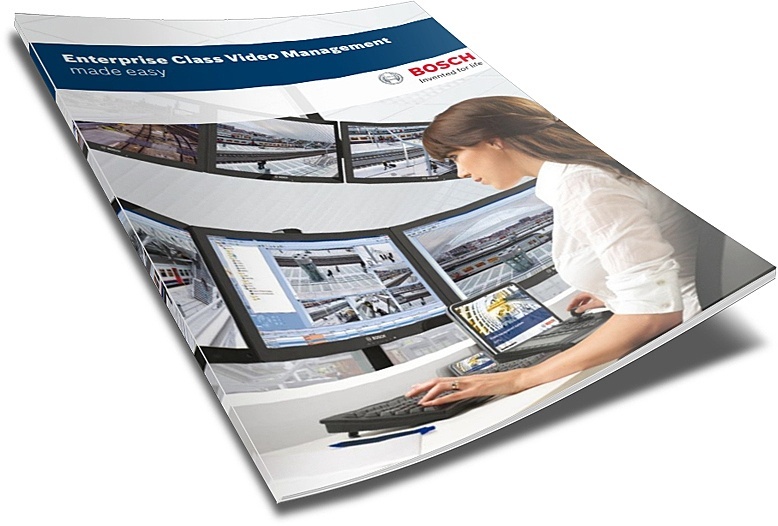 Recently our team had the pleasure of observing and participating in a system design overview presentation for a variety of VMS design solutions available from Bosch Security Systems. Simply put: our audience was quickly confused. During the meeting it was brought to our attention that making the decision about what VMS to use and in what architecture is quite difficult. With major, strong VMS manufacturers in the market such as Mirasys, Genetec, Milestone, Avigilon, Bosch, and many others, proper evaluation and selection can be complicated according to the audience. So, we asked a tough question: "Is it easier for us to tell you where our solution is weakest based on architecture and features, so you know when NOT to use a specific VMS?" Needless to say we got some strange looks coming back at us. Apparently being frank and transparent about one's weakness is not normal. Well, perhaps we're not a normal sales team then! Once that question was digested, one of the engineers asked us for a list of questions they should ask to help steer their decision making process. 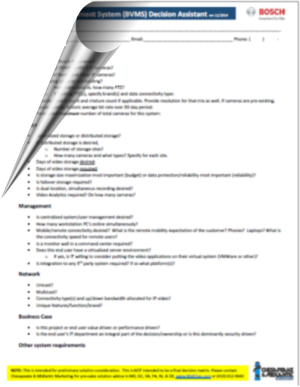 They wanted a resource that would reveal the answers needed to determine a solid VMS solution path. Get the list of VMS architecture questions to ask here.